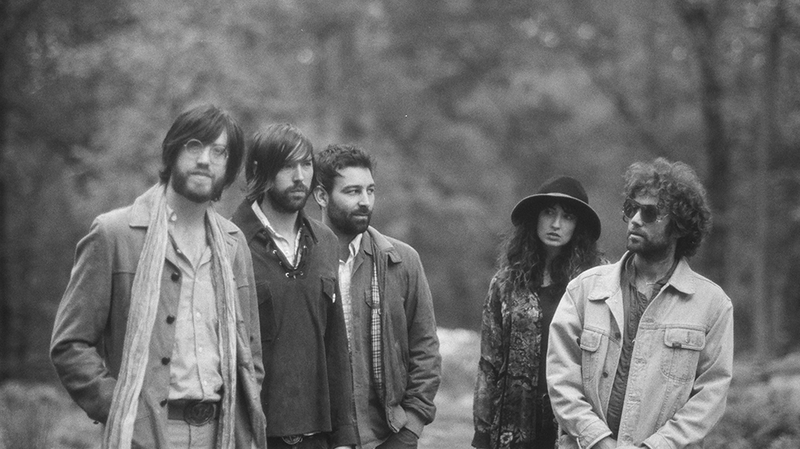 When many long term members of Okkervil River left the band after their seventh album The Silver Gymnasium, Will Sheff responded with an album that was dour and solitary. It was the sound of a man who wasn’t enjoying making music. Sheff has declared that his touring band has made him feel like a “kid again”, announcing that the band’s next full length In the Rainbow Rain will be released April 27. As a teaser to the forthcoming record, the newest version of Okkervil River unveil Don’t Move Back To LA. Okkervil River were always at their best when playing mid tempo baroque pop and they hit all the touchstones here. Sheff’s deep and ardent voice is accompanied by classic AM radio, west coast harmonies set amongst a lazy beat, humming organs and fresh guitars. Sheff is said to have channelled his outrage at the recent presidential election to the practice of attending Quaker meetings. The evidence of this is in the spiritual undercurrents of the Don’t Move Back To LA, hinting at a gospel leaning. Don’t Move Back To LA is lyrically tight and a return to form for a band that have long been responsible for cerebral slices of pop. The new album can’t come soon enough.